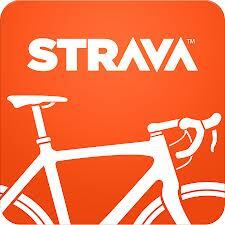 Dave Lloyd planned an excellent course with plenty of route choice and just the right length. Andrew Windrum did somehow manage to clear up but it meant that everyone else got better scores than usual. The map is getting a bit old and lots have tracks have changed. Some are getting overgrown and some of the single track routes which are no longer used have fallen into disrepair – especially just south of the Crosscliffe viewpoint as I found out. We were lucky again with the weather and the tracks were still fairly firm despite the previous day’s heavy rain. All of your comments were very positive which makes our job very rewarding. Thanks as ever to Jens for another excellent map and he will be updating it this winter; Dave Lloyd for putting out all of the controls on Sunday; Geoff Moorhouse, John Dixon, Frank & Sandra Appleton for their help on the day; then Dave Lloyd, John Rawden, Ray Morriss, Steve Kendall, Graham Tibbot, Andrew & Catherine Windrum for collecting them in so that we could all leave by 6. It was great to see over 80 riders again at an event including quite a few newcomers and families. Sorry for 2 errors in the results. I didn’t realise that Adrian Parker and Katy Cawthorn were using different dibbers and after they had downloaded I couldn’t pair them up with their partners. Congratulations to Andrew Windrum (M40) who scored the maximum 525 points with 6 minutes to spare and turn the tables on Graham Tibbot M21-510. Peter Swanborough had an excellent ride to win M50 for the first time with 454, the same score as Adrian & Luke Parker in the Generation class. Nick Dallimore won M60 – 440 and Roger de Faye won M70 with 399 which would have placed him 3rd in M60 behind John Dixon’s excellent 400 points. In the Women’s section Sheila Pearce won W40 with 426, Jill Ellison 405 in W50 and Clare de Faye 330 in W60. Angela & Tony Brand-Barker had an excellent ride to win X50 with 385 points. Finally, I must mention 10 year old Laura Barber riding with her Dad, (Jeffrey). They scored 345 points at Dalby and had ridden the 4 hour event at Malham on Saturday followed by the Junior Fell Race!! Very impressive. You can follow all of their routes using the splits file and course map on the NYMBO site. I enjoyed my ride as usual and decided to avoid the riggs and dales to the SW so headed east. The tracks were great, the scenery was tremendous between 36 and 59 then again between 52 and 35 and the single tracks in Dargate Slack and Tom Milner’s Grain were challenging (once I had found the way into them from 35). #50 wasn’t quite in the right place so I hope you didn’t waste any time there. 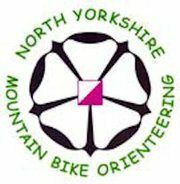 The next events in the NYMBO league are part of the OMM Bike weekend at Cropton on September 17th/18th. All 4 courses count on both days and you can enter the 3 hour option on the BMBO site. However, you need to enter the longer courses on the OMM web site and the event is nearly full so don’t leave it too late. This entry was posted in News on August 29, 2016 by stevewillis3. Dalby has mountain bike terrain from everyone from world class to complete beginner so it is always a pleasure to plan there and by staying completely in the forest I decided to make 525 a possibility which Andy Windrum duly delivered with 5 min to spare. Although the main forest roads and way marked trails are fast and reliable, the smaller tracks and rides are more of a gamble and depend upon recent traffic and seasonal vegetation. The orienteers helped to clear a way to 54 from the north & east but it wasn’t so obvious from the south, which probably cost Graham Tibbot the chance of a maximum score. Changes to the official Red Route of which I was not aware also caused a couple of problems so I must apologise to any of you who planned to go south from 35 to56 on a section which is now pedestrian only and if you planned to leave 50 towards Staindale on a section where the direction has been reversed (although the main track was the best route). Apologies also for putting 50 on the wrong bit of fence but it was clearly visible from the track. Despite this comments at the finish were favourable, perhaps the weather helped. It was interesting to note that the introduction of spot prizes has had some effect on the number of early starters and has greatly influenced route choice. despite this one prize (#50) was not claimed even though the first person to visit should have had to move the voucher to dib. Many thanks to all of you for turning out but especially to Steve Kendall, John Rawden, Andy Windrum, Graham Tibbot and Ray Morris who helped to collect all the controls in by 5:30, a bit less than the 6hrs & 90k it took to put them out.